Scott and I have specialized in residential real estate sales on Lake Minnetonka and its surrounding communities since 1987. We list and sell properties at all price levels. Our reputation speaks to our high level of service, confidentiality and integrity. We always go the extra mile for our clients and our commitment is to you. Over 30 years of experience in the Real Estate Industry. A strong emphasis on integrity, confidentiality, and responsiveness. Exceptional people skills - possesses the ability to work well with all personality types. Extensive networking connections - ready to jump on those gems even before they come on the market. Top-notch follow through and attention to detail. Motivated and energetic, always putting your needs first. Compassionate, kind, and caring yet smart and experienced about all aspects of the real estate transaction. 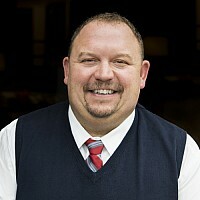 Scott is a fifth generation native of the Lake Minnetonka area and a Minnetonka High School Graduate. His great-great grandfather John F. Wilcox was the first mayor of Tonka Bay whose home was an 86 acre estate we still know today as Old Orchard. Scott prides himself on his knowledge, reputation, connections and experience in the lake area. His entire life, he’s worked on the lake in one fashion or another, giving him extensive insight about water quality, invasive species, neighborhood information, area parks, schools, etc. After receiving a double major from Minnesota State, University Mankato in Urban Development and Criminology in 2004, Scott joined Candi in real estate and together they started The Stabeck Group. Scott's commitment to his clients is unsurpassed. He prides himself on his respect, responsiveness, confidentiality and his powerful negotiating skills. Scott works all price levels of the market and has extensive experience with high net worth clients and concierge services expected. Since starting his career, he’s formed strong bonds with other agents from all brokerages which is key for long term relationships and networking on behalf of his clients. Extensive knowledge of the western suburbs real estate marketplace ~ Specifically the Lake Minnetonka area. Exceptional people skills and the ability to work well with all personality types. Top-notch follow through and attention to detail throughout the buying and selling process. Sue joined The Stabeck Group in February 2007 as Client Services Manager offering an extensive background in customer service, retail sales and marketing. Her husband is a teacher and coach at Mound Westonka School District where their son Luke also attends school. 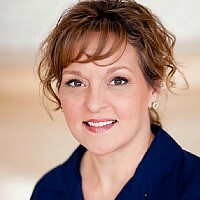 Sue works full-time with Candi and Scott to accommodate each and every client. Her attention to detail and organizational skills keep the office running smoothly and efficiently. 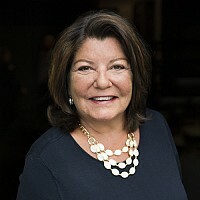 Tammy is a member of the Minneapolis Association of Realtors, the National Association of Realtors, the Minnesota Employee Relocation Council, and the Worldwide Employee Relocation Council. Thank you for considering Wells Fargo for your home financing. As local mortgage professionals working in our community, we understand area lending guidelines and draw on our resources as the nation's leading retail mortgage lender. We'll work closely with you to help provide information so you can make informed decisions. As your Wells Fargo Home Mortgage Consultants, we'll work with you every step of the way. Start the financing process with a free consultation. Andy started in the mortgage business in 1983. He has been a US Bank Private Banking loan originator for the past 20 years. Andy specializes in construction loans, purchases, refinances, and works with a team of bankers in the Wayzata US Bank branch. Scot holds a Bachelor of Science Degree in Engineering and has years of hands-on experience in residential construction. He trained at the National Institute of Building Inspectors, worked as a municipal housing inspector for 1 and ½ years, and has been a private home inspector since 1980. Scot has been a member of the American Society of Home Inspectors (ASHI) since 1991 and has done over 10,000 home inspections following the standards of ASHI. He also stays up-to-date on housing issues by attending continuing education seminars each year. Scot excels at educating clients on a home’s condition and explaining the inspection results in an easy-to-understand way. Watermark Title Agency is a Minneapolis metro-based title agency. Watermark Title facilitates real estate closing and escrow services, performs title examinations and issues title insurance. We have worked directly with Erin for over 10 years. She is an industry professional that prides herself on thoroughness and efficiency, as well as exemplary customer service skills. Erin takes great care of our clients in order to ensure that the service we provide exceeds expectations from the initial title order, all the way through your successful closing and beyond. Over the years Candi & Scott have developed relationships with an extensive number of service providers such as architects, inspectors, movers, handymen, and painters who can handle the repairs or projects that are sometimes needed when you buy or sell a home. Feel free to contact them any time, and they’ll put you in touch with a person who can do the job for you.